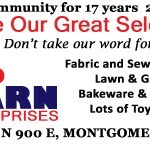 Crafts of all types- come out and see! Very Big and lots to buy! Old fashioned General Store featuring beautiful fabrics and patterns, bulk foods, noodles, homemade jams and jellies, stainless steel cookware, religious books and general merchandise. "The Original Authentic Tour!" 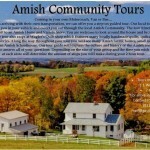 Tours of 15 or more visit Amish homes, farms, and other locations. Unique, eclectic and fun! From cozy country and authentic Amish to trendy and fun. 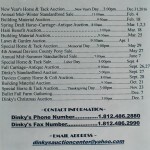 Home d?cor, antiques, jewelry and handbags, soaps and lotions, toys and books, gifts galore. New buggies and carriages made to order and old buggies, too. Specializing in folding carriage tops. Manufacturers of buggy wheels, wagon wheels, axles, spokes, wheel repair and parts. Something for everyone. An extensive line of footwear, unusual musical wooden case clocks, toys, cookware and bakeware, fabric and sewing supplies and lawn and garden items.